Many shades of gray. I’m not sure if it’s fifty, but probably at least that. I like watching those house renovation programs but have you noticed that everything seems to be turning out the same these days? It’s granite countertops, hardwood floors, open floor plan (noisy), glass tile backsplash, subway tile bathrooms, barnwood doors. And….it’s all gray, gray, gray. Well, white and black play a big part, too. But whatever happened to color? I mean other than a staged bowl of green apples or a throw on the sofa? Can you imagine living in northern climes with white on white walls? I’d be snowblind. I don’t wish to bring back avocado or harvest gold appliances, but what happened to color? Humans see a wider range of colors than almost any other animals so why aren’t we using more color? As an artist, I get excited when I walk into an art store and see the beautiful array of colors. Even just writing about it gets me pumped up. I love color, as my paintings attest. More neutral interiors. How about a little personal touch? Anyone? So I wonder why the decorators or home stagers don’t use more colors in their final reveals? Don’t you think that favorite red painting of the dancer that you move from house to house makes your home feel instantly like your own nest? Are people afraid of color? I mean, we’ve had the beiges and off-whites of the 60s, 70s and 80s. Now we live in a black and white and gray world? Nah, not for me. I want some color to excite my senses. Besides, you can always move a painting or repaint a wall. Probably a lot easier than that barndoor you had to have. And what’s up with those giant clocks? Well, that’s a subject for a different post. This entry was posted in opinion and tagged color, decorating, gray, neutral colors. Bookmark the permalink. I too noticed the grey/gray movement and am astonished at how it appears designers and architects are almost afraid to put themselves out there in their rationalizations or rationing of color! Thank you. Yes, that is my reasoning for this post. I agree that the home shows all seem to produce the same look. Very…versatile? 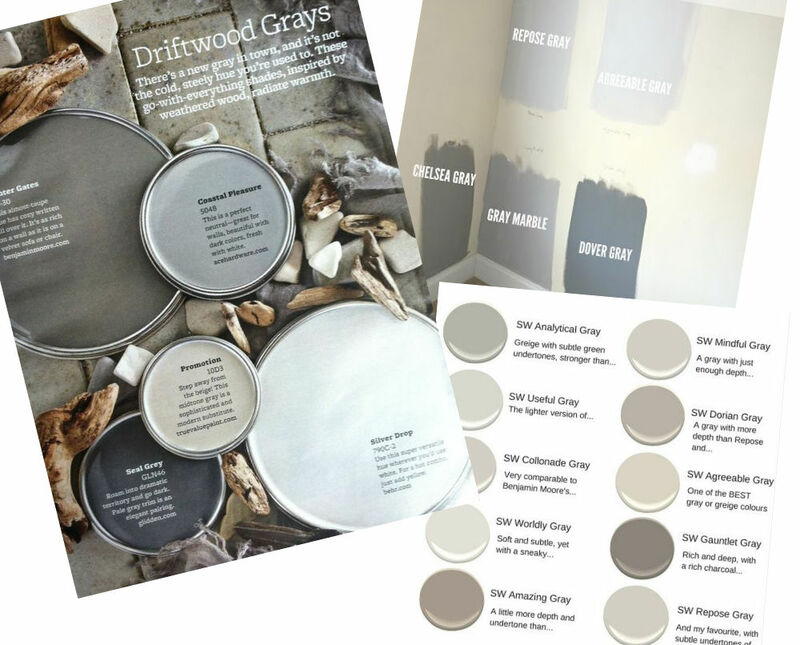 Gray goes with everything, so it should be easy to personalize a home like that. I personally have a fairly neutral background and use colors as my accents, mainly because I just have always liked beiges and pale blues – that faded english country house look. I also like to change my accent pieces with the seasons. The color that always makes me stop and look is robins egg blue. Not baby blue. Big difference. 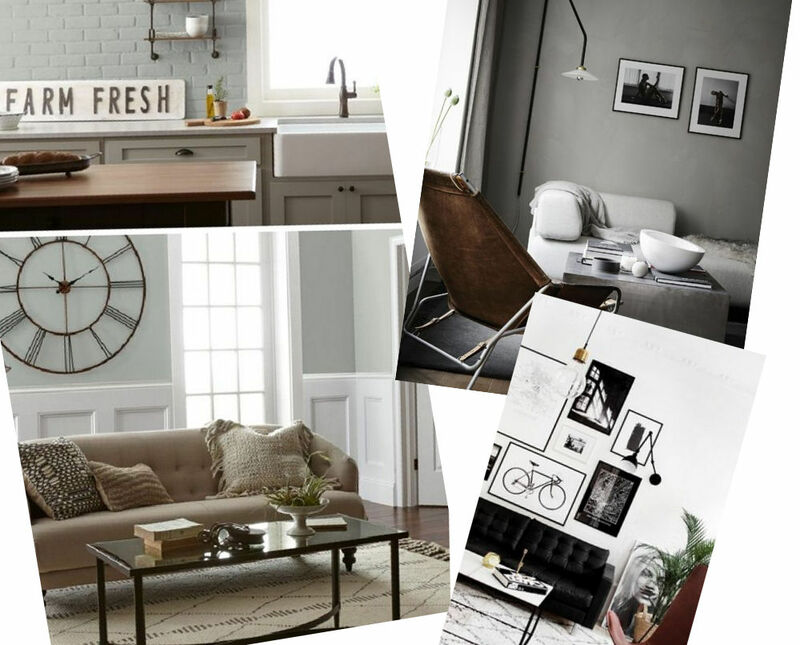 As far as the current home trends, I can’t stand subway tile. I prefer marble over granite. I would die for some hardwood floors, though!